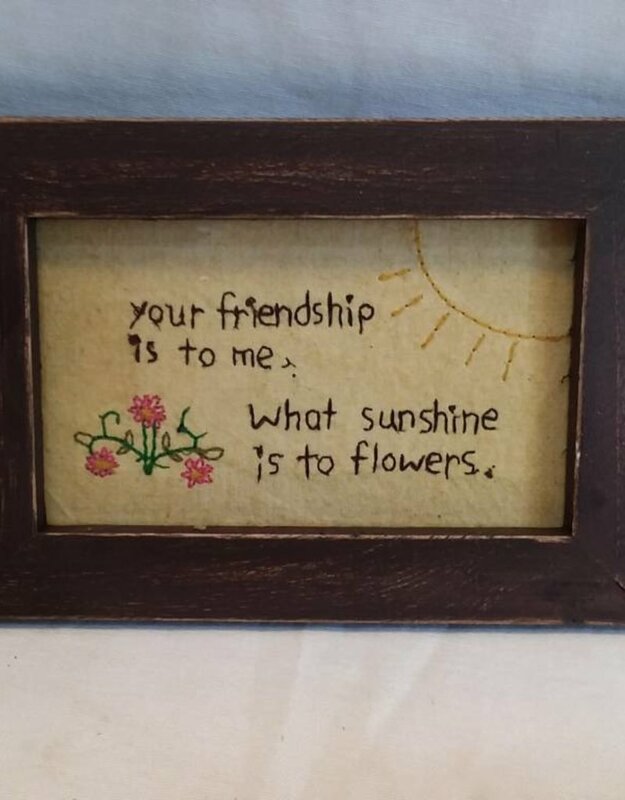 Home / Your Friendship Stitchery, 7.5"x5.75"x.75"
Your friendship is to me what sunshine is to flowers. 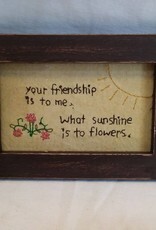 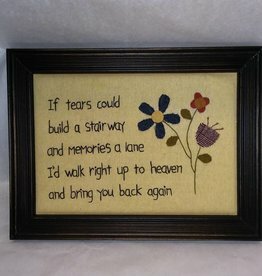 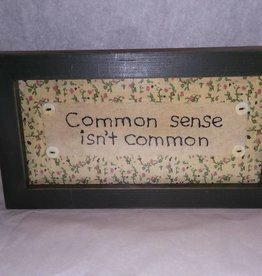 A sentimental stitchery between friends. 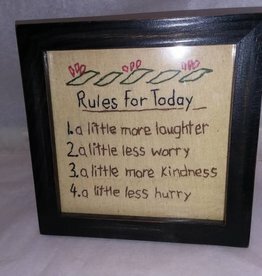 7.5"x5.75"x.75"
Stitchery w/rules for today. 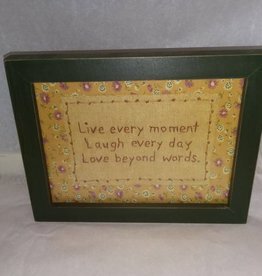 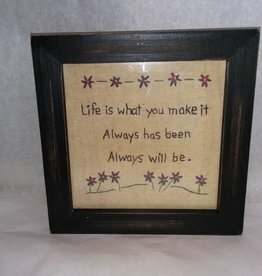 7" x 7"
Life is what you make it, always has been, always will be, stitchery. 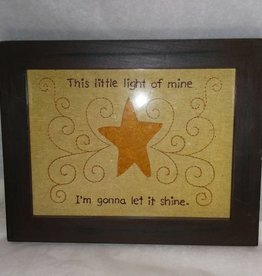 7.5" x 7.5"